[gap h=”25″] Edit: Stream over!, youtube upload is done. Dance webms and Lobby PNGs now up! Jay and Omari are currently streaming some work progress, come join the chat! Edit 2: And the recording is now up on youtube! Edit: Stream over, thanks for joining! We’re live now, we’re showing some gameplay/work progress, and Lauren’s having a chat with the stream!, come join us! https://www.mane6.com/wp-content/uploads/2016/01/M6V3-BlackMid_Transparent.png 0 0 Mane6 DevTeam https://www.mane6.com/wp-content/uploads/2016/01/M6V3-BlackMid_Transparent.png Mane6 DevTeam2015-10-10 17:22:422017-07-17 19:37:27Stream 2 is live! Book of Lore – Chapter 1: The future belongs to the young. https://www.mane6.com/wp-content/uploads/2015/10/AriHeader1.png 247 920 Mane6 DevTeam https://www.mane6.com/wp-content/uploads/2016/01/M6V3-BlackMid_Transparent.png Mane6 DevTeam2015-10-08 20:11:392017-07-17 19:37:27Book of Lore - Chapter 1: The future belongs to the young. 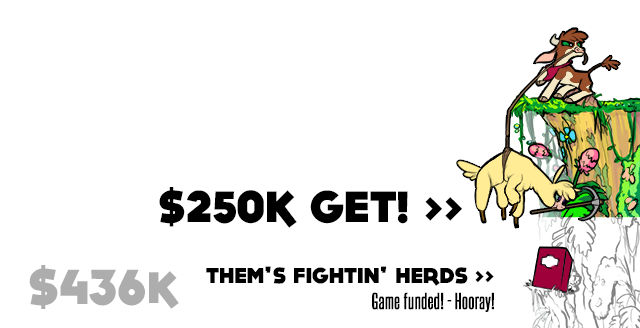 250k get, Streams, Lore, Xanadu and more! https://www.mane6.com/wp-content/uploads/2015/10/stretchcliffScale.png 328 640 Mane6 DevTeam https://www.mane6.com/wp-content/uploads/2016/01/M6V3-BlackMid_Transparent.png Mane6 DevTeam2015-10-07 16:16:502017-07-17 19:37:27250k get, Streams, Lore, Xanadu and more! Edit 2: The stream recording has been uploaded to youtube!, Have an embed! Edit: Aaaand stream’s over! Thanks to everyone for coming, hope you had fun (we certainly did)! 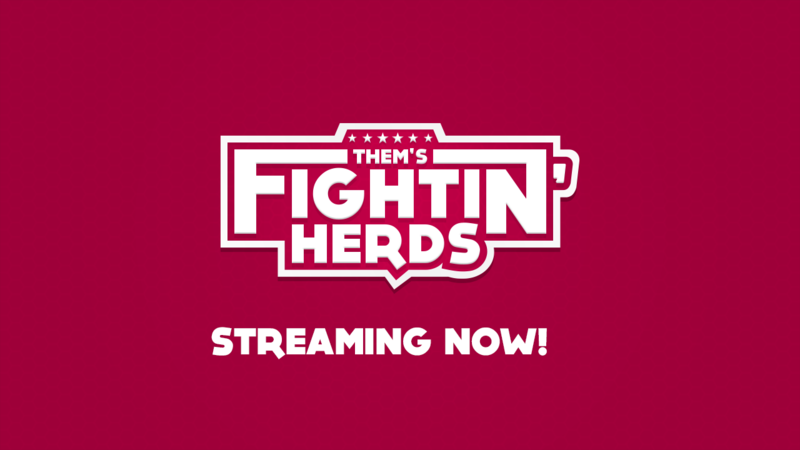 See you next stream =) Hey folks, we’re streaming some Them’s Fightin’ Herds game/work progress in our twitch channel, come join the party! Greenlight, Beta access, referral contests and streams! https://www.mane6.com/wp-content/uploads/2015/10/Greenlight.png 250 640 Mane6 DevTeam https://www.mane6.com/wp-content/uploads/2016/01/M6V3-BlackMid_Transparent.png Mane6 DevTeam2015-10-01 16:51:312017-07-17 19:37:27Greenlight, Beta access, referral contests and streams! https://www.mane6.com/wp-content/uploads/2015/09/ThanksSupportStretch_01.png 210 640 Mane6 DevTeam https://www.mane6.com/wp-content/uploads/2016/01/M6V3-BlackMid_Transparent.png Mane6 DevTeam2015-09-25 16:45:022017-07-17 19:37:27Them's some Stretch goals. 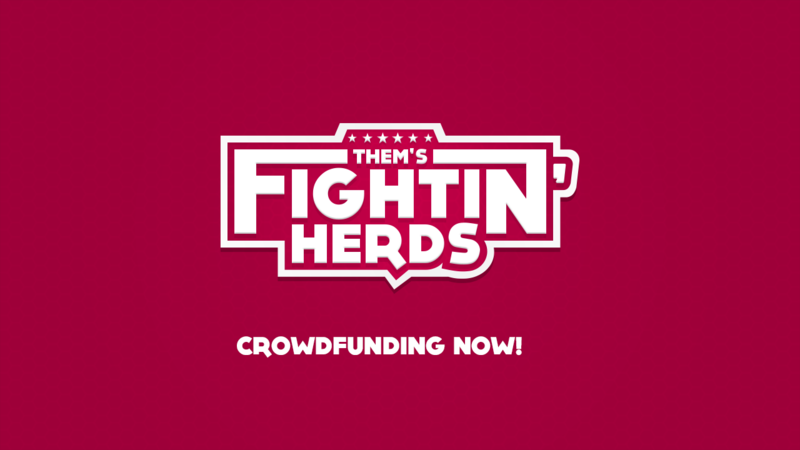 New and restocked pledge tiers on the crowdfund campaign. https://www.mane6.com/wp-content/uploads/2015/09/TFH12801.png 720 1280 Mane6 DevTeam https://www.mane6.com/wp-content/uploads/2016/01/M6V3-BlackMid_Transparent.png Mane6 DevTeam2015-09-23 22:54:392017-07-17 19:37:27New and restocked pledge tiers on the crowdfund campaign.